They say that God created the world in six days. 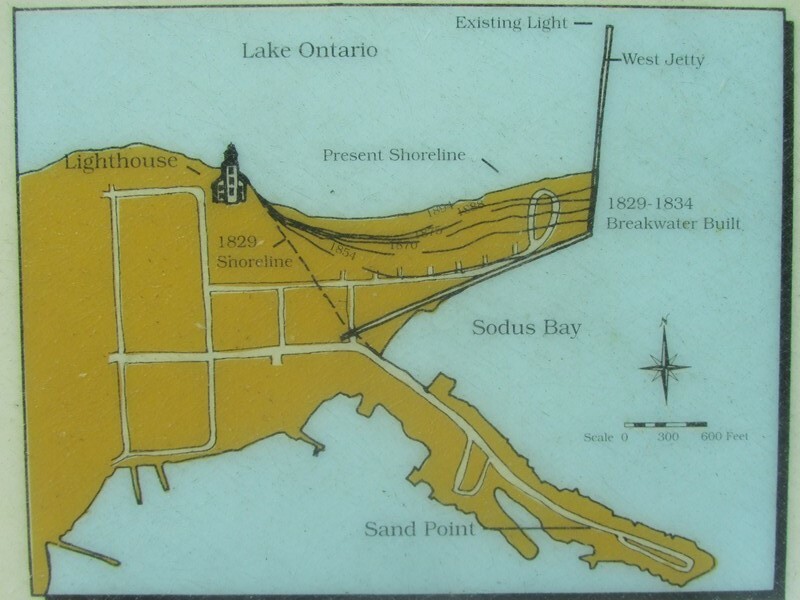 The people of Sodus Point created about 40% of “downtown” over a stretch of 65 years. 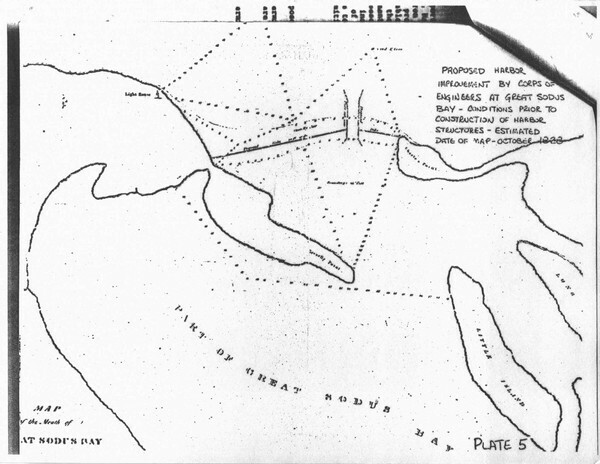 From 1829 until 1894 , a series of 7 breakwaters (see picture above) were built in Sodus Point in the waters of Lake Ontario. As soon as each breakwater was built, sand would naturally be deposited on the North side of the breakwater from wave action. The south side was filled in with rocks and dirt. It is said, that the village would pay farmers $1 per wagon load of rocks that they would dump behind the breakwater. The process was then repeated. 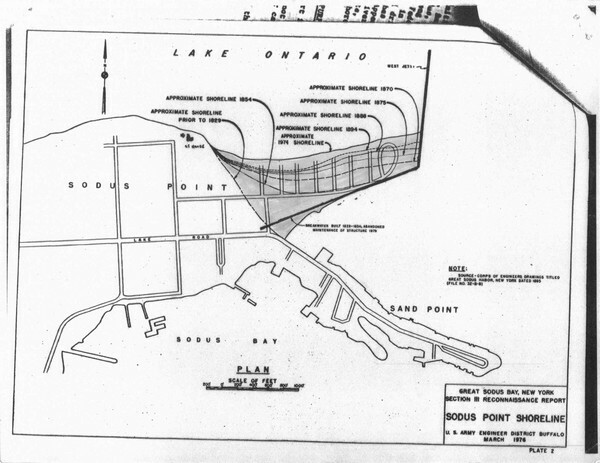 Over 65 years about 40% of what we now think of as downtown was reclaimed from Lake Ontario stretching from The Lighthouse to the Pit Stop thru the numbered streets all the way to the pier.